Join us during the GetLit! Festival for an astronomical poetry reading and book release of Starstruck, a Spark Central community book project led by Laura Read and Mark Anderson, our Spokane Poet Laureate. Finely crafted, limited edition books will be available for $15, with proceeds benefiting Spark Central. EWU Visiting Writer Series presents a reading event with novelist and poet Laura Kasischke. She has published nine novels, three of which have been made into feature films—The Life Before Her Eyes, Suspicious River, White Bird in a Blizzard—and eight books of poetry, most recently Space, in Chains. AGES 6 - 17 · If you have ever been curious about table-top role-playing games, join us! we'll build a shared narrative using cooperative problem solving, exploration, imagination, and rich social interaction. ADULTS & YOUTH GRADES 3+ · Explore the world of coding and computer science at your own pace using game-based lessons on Code.org and Scratch. AGES 6+ · Our resident mad scientist shares experiments from the gross to the glorious, inspiring a sense of wonder. 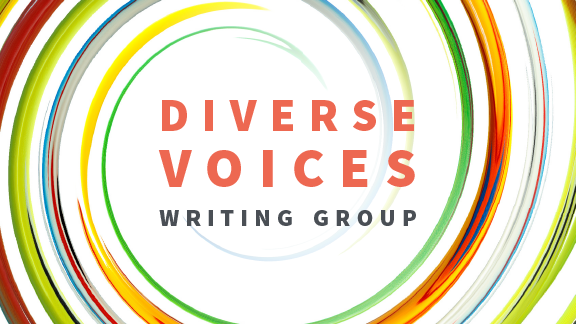 ADULTS & TEENS · A writing group for all experience levels that supports and elevates diverse voices. When you come to this writing group, whoever you might be outside of this circle, you are now a storyteller, a maker of visions, and a story-listener, too. GRADES 8-12 · Take your creative writing to the next level with support from other teen writers and published local authors. Get feedback on works-in-progress, and create new work using a variety of writing prompts. Aspiring writers unite! You're invited to be a part of our supportive writers' community. Bring works in progress to share, get inspired with creative prompts and spend some focused time writing. Adults and teens who have always thought, “I wish I could draw," join local artists to explore mediums, develop skill and cultivate imaginative thinking. Discover new ways to play together and spark your young one's healthy mental, social, and emotional growth. Meet other families, eat a healthy snack, and get creative in a relaxed and supportive environment. No registration required. GRADES 4 - 7 · Learn to create your own story — choose a setting, characters, and action — using core computer coding concepts. Create, collaborate, code! We value diversity and we welcome girls and girl-identified kids of any background to participate. No cost · registration required. GRADES K - 3 · Team up with friends to build the fort of your dreams before transforming your new dwelling into a colorful light party using glow-in-the-dark and light-up toys. AGES 2 - 7 · Parents, team up with your child to paint a masterpiece made by two. We’ll provide instruction and inspiration for a whimsical, imaginative collaboration you’ll be proud to hang in your living room. Learn the basics of using artificial intelligence to make images. We'll look at notable artistic projects in the field, learn a bit about how machine learning works and experiment with basic machine learning setups. You'll leave with a better understanding of what it means to be a self-thinking artistic machine! Create a simple comic book by cutting paper to make characters and scenes! Script your story and transform it into a polished mini-book — all in this three-hour session. Materials and inspiration provided. Do you like making things? Come build a game in eight hours! Video game makers and interactive artists of all experience levels are invited to sign up to make something in a day. Register online · $10. Join Henrietta Goodman, author of All That Held Us (a memoir in sonnets), to explore how formal structures can provide shape to personal material and lead us in unexpected, exciting directions. Beginning and experienced writers of poetry (and prose) welcome. Register online · $10. Spark Central relies on volunteers of all stripes to make the magic happen. Attend a volunteer orientation to learn more about joining our superhero team. Register online using our volunteer signup form. Experiment with games and creative tools in a virtual 3D space! Stop by any time from 5-7 PM on First Friday to explore worlds or create your own virtual art. Made possible by CenturyLink. EWU Visiting Writer Series presents a reading event with author Emily Van Kley. Emily lives in Olympia, Washington, where she writes, works at a cooperative grocery, practices aerial acrobatics, and nurses a near-pathological longing for snow. Join us during the GetLit! Festival for an astronomical poetry reading and book release of Starstruck, a Spark Central community book project led by Laura Read and Mark Anderson, our Spokane Poet Laureate. Finely crafted, limited edition books will be available for $15, with proceeds benefiting Spark Central (get yours while they last!). 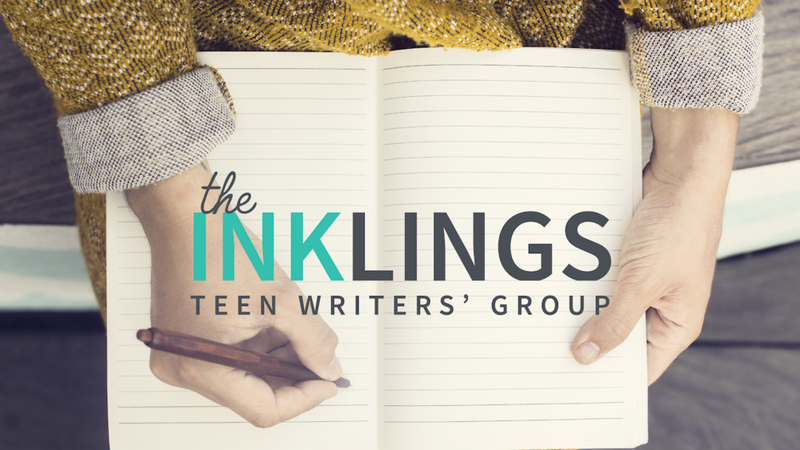 ADULTS & TEENS // A writing group for all experience levels that supports and elevates diverse voices. Long ago, when we had only darkness at night, people came together around miraculous fire to tell stories and describe visions. When you come to this writing group, whoever you might be outside of this circle, you are now a storyteller, a maker of visions, and a story-listener, too. In this circle, there is only support and caring. GRADES 8-12 // Take your creative writing to the next level. Get feedback on your work from other teen writers and published local authors (bring a page or two of writing to workshop) and participate in writing exercises designed to hone your skills. Hosted by Spokane poet Kat Smith. You bring the ideas and we’ll bring the snacks! Join us for Inklings on the 1st Saturday of every month! KIDS // Our resident mad scientist shares experiments from gross to glorious, inspiring a sense of wonder. Join us for Drop in & Science on the 3rd Saturday of every month! ALL AGES // Explore the world of computer coding at your own pace using game-based lessons on Code.org and Scratch. You can even create an account to save your progress and continue playing — ahem, we mean learning — at home. Join us for Drop in & Code on the 3rd Friday of every month starting in April! ALL AGES // Aspiring writers unite! You're invited to be a part of our supportive writers' community. Bring works in progress to share, get inspired with creative prompts and spend some focused time writing. ALL AGES // Adults and teens who have always thought, “I wish I could draw," join local artists to explore mediums, develop skill and cultivate imaginative thinking. Ages 2-5 // Parents and preschoolers, join us for story time followed by a craft you can easily replicate at home! We'll read The Very Hungry Caterpillar, then explore the concept of metamorphosis with a hands-on activity. No cost // Registration Required. GRADES 5-7 // Team up with friends to build and program a LEGO robot! In the process of building, students will practice creative and collaborative problem-solving, apply introductory robotics concepts, experiment with block programming (the first step to learning to code) to teach their robot new tricks. Each team will rely on all participant, so it's essential that all students who register attend both sessions. No cost // Registration required. Discover new ways to play together and spark your young one's healthy mental, social, and emotional growth. Meet other families, eat a healthy snack, and get creative in a relaxed and supportive environment. Join us for Imaginarium on the third Tuesday of each month! GRADES 4-7 // Learn to create your own story — choose a setting, characters, and action — using core computer coding concepts. Create, collaborate, code! We value diversity and we welcome girls and girl-identified kids of any background to participate. No cost; registration required. A workshop in writing and performing powerful poetry led by the poets of Power 2 the Poetry, a local movement promoting freedom of expression, providing a platform to underrepresented demographics in our community and growing awareness of social, cultural, and political issues. Register online // $10. Hosted by Artist Trust. Join artist/designer Ginelle Hustrulid to look at examples of successful artist statements and resumes from artists of all disciplines, then revise your own. Register online via Artist Trust // $15. Adults & Teens 16+ // Create a simple comic book by cutting paper to make characters and scenes! Script your story and transform it into a polished mini-book — all in this three-hour session. Materials and inspiration provided. Registration required // $10.